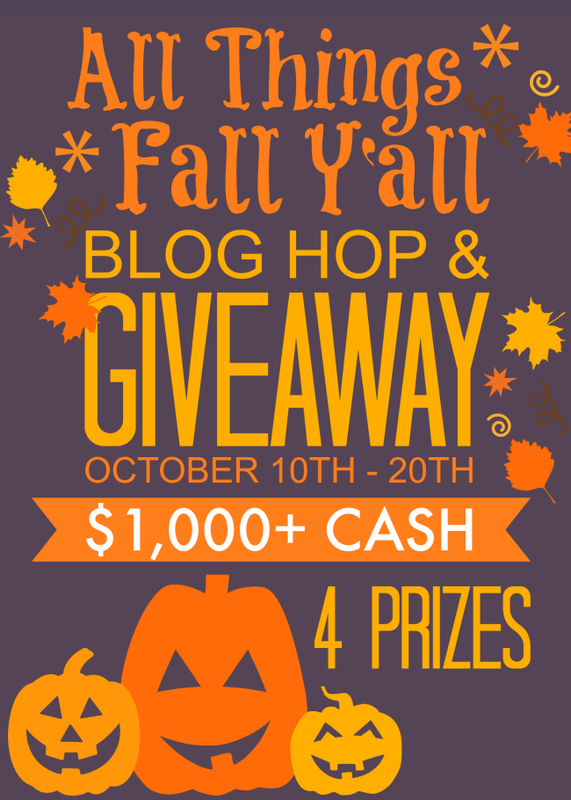 I promised y'all three amazing giveaways in October...and I wasn't lying. Today kicks off the biggest giveaway we've ever hosted here on Silhouette School. How about more than $1000 in cold hard cash? 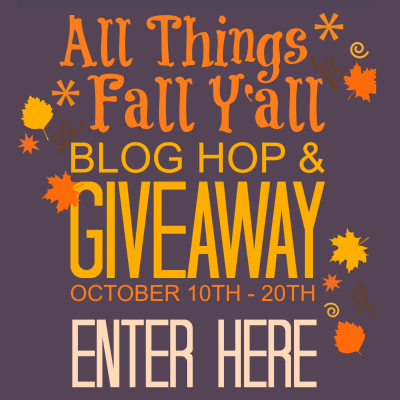 That's right - welcome to the All Things Fall Y'all Blog Hop & Giveaway! Along with fabulous Fall DIY crafts (#24 is especially close to my heart), decor and recipes, we are excited to bring you the chance to win one of four CASH PRIZES totaling over $1,000! WARNING: Careful not to accidentally 'UNLIKE' Silhouette School on FB...and also Facebook limits the number of pages you can "like" at a time. If you like too many pages in quick succession, Facebook will remove your "likes" and negate your entry. We suggest you like only 12-13 at a time and come back to like more later in the day.